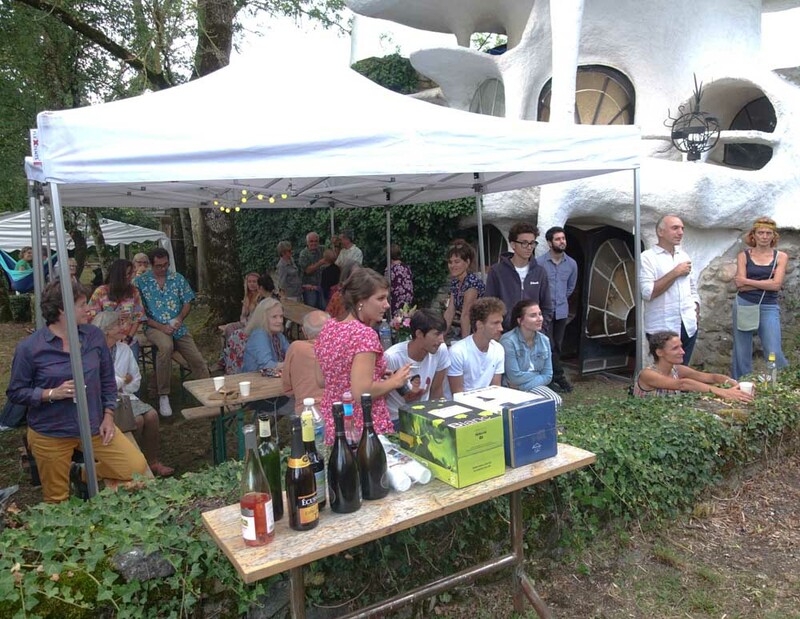 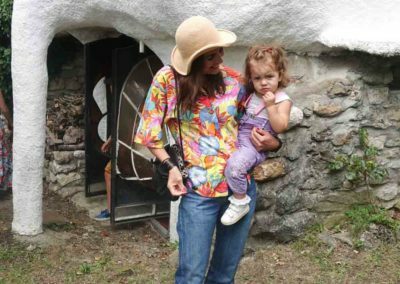 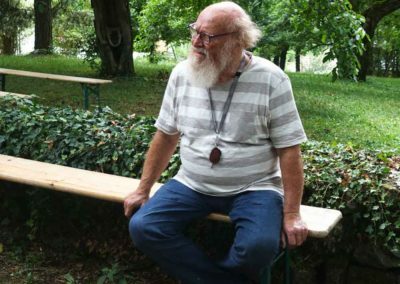 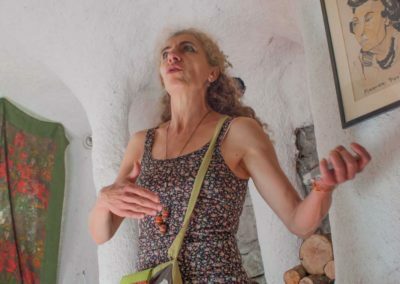 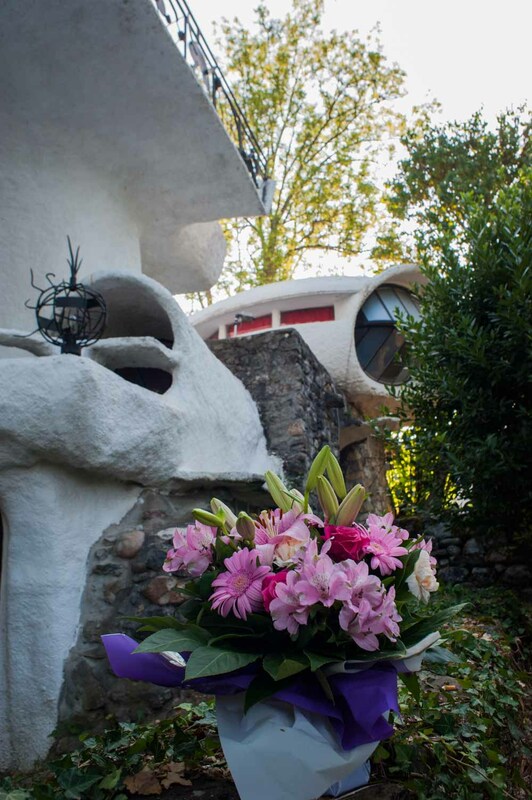 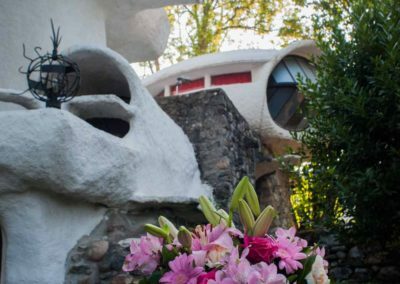 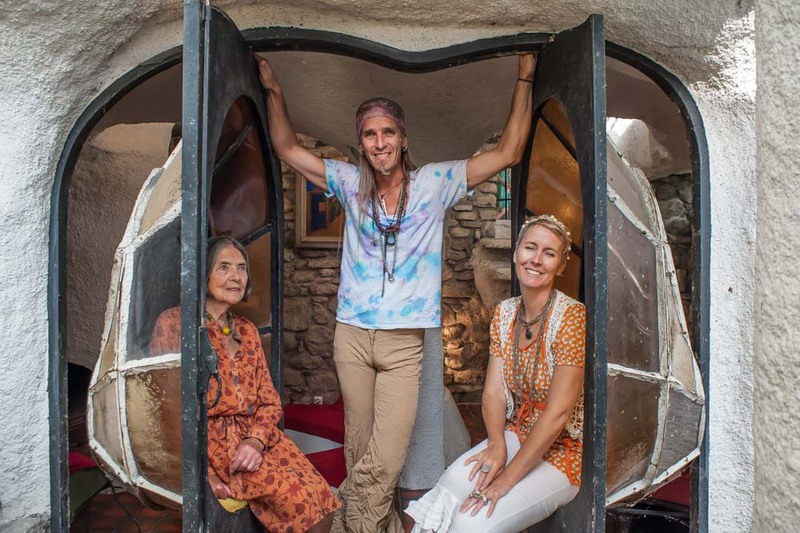 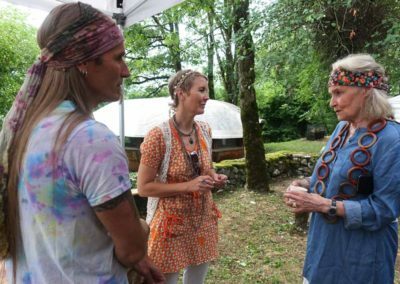 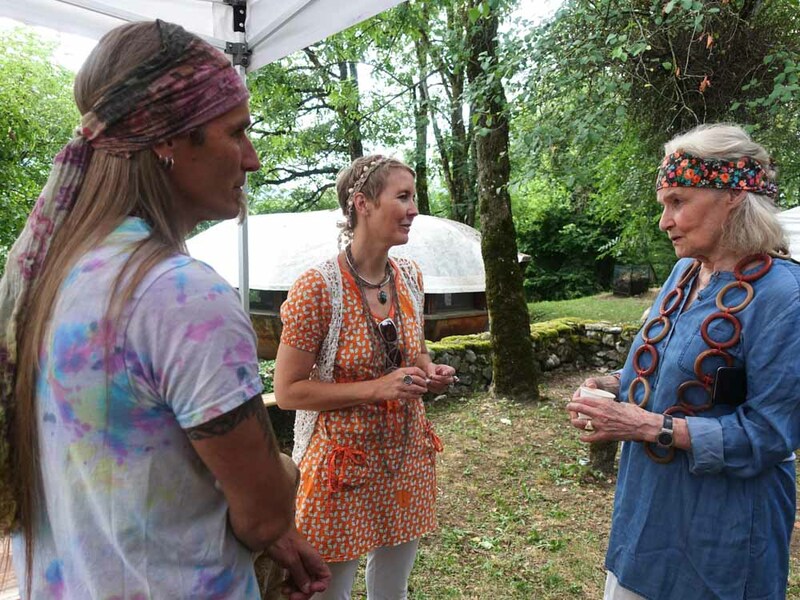 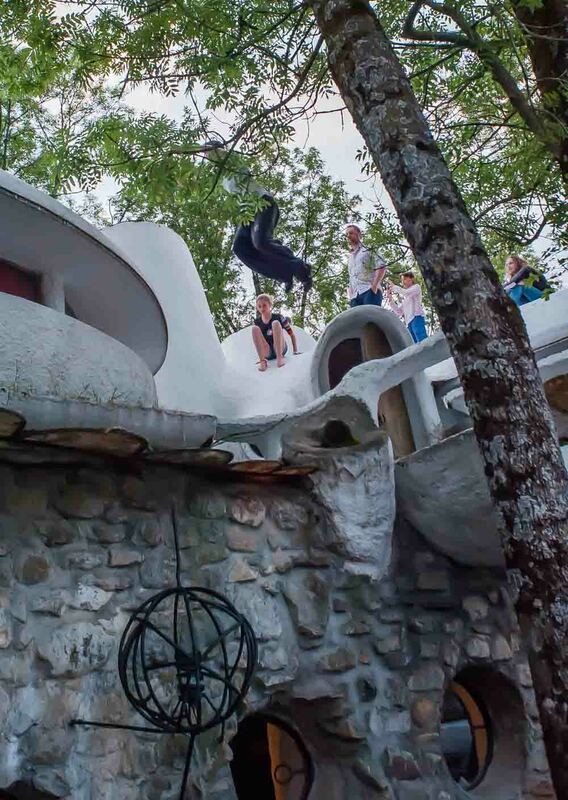 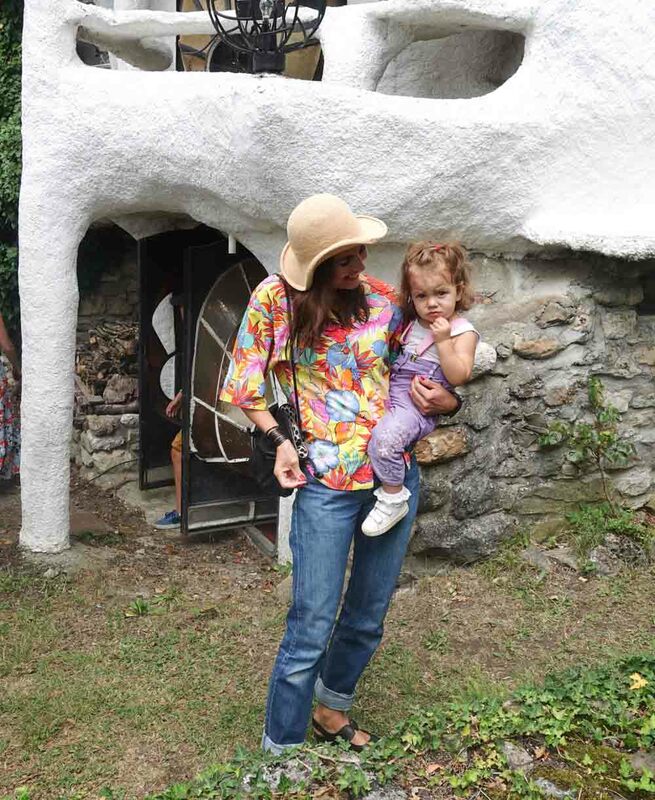 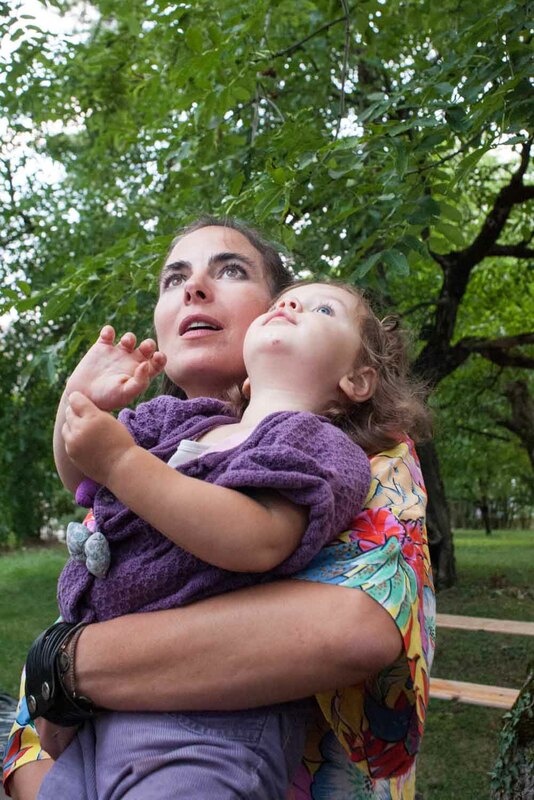 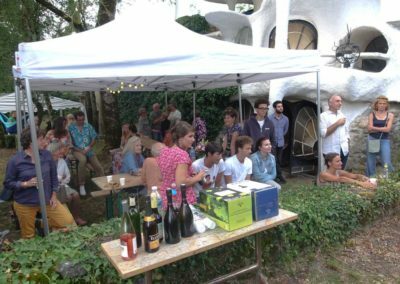 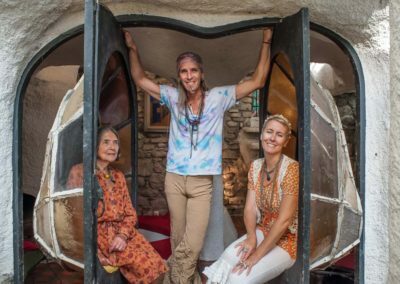 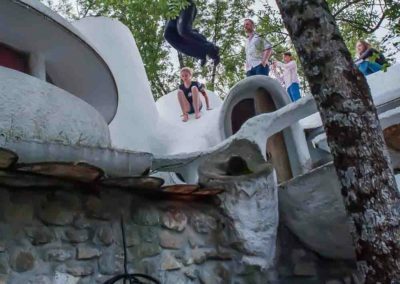 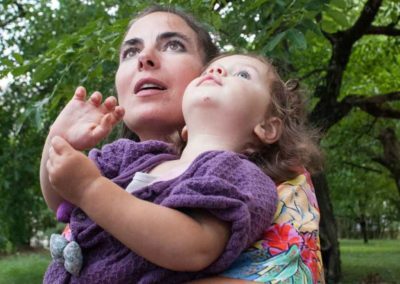 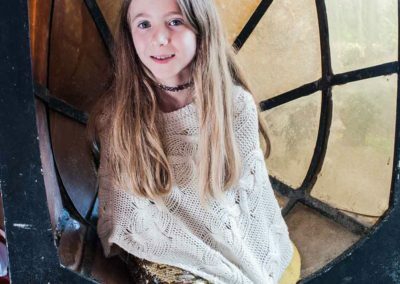 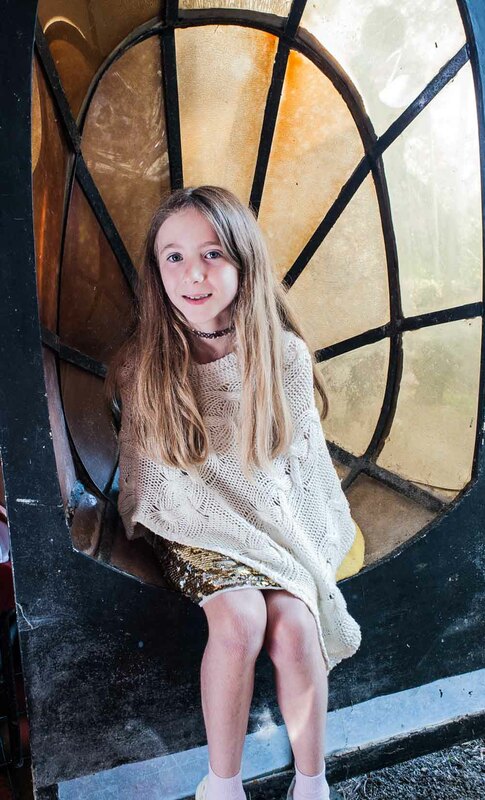 Claude Costy, her children and grandchildren, had invited for the occasion more than 70 people, admirers of the organic architecture and the concrete shell. 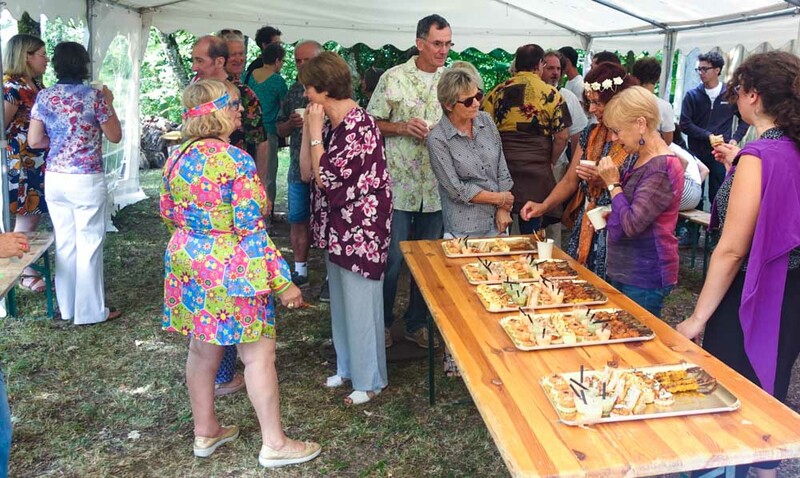 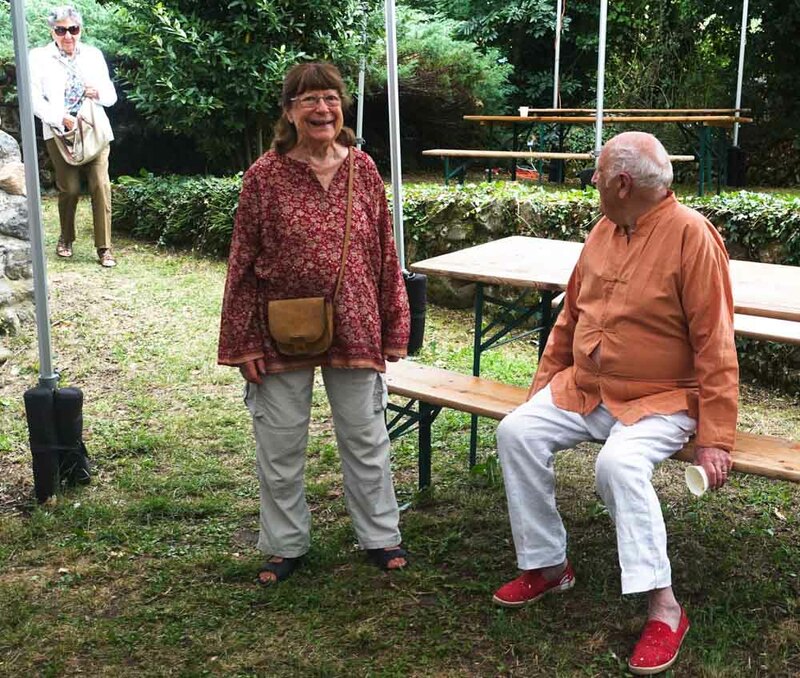 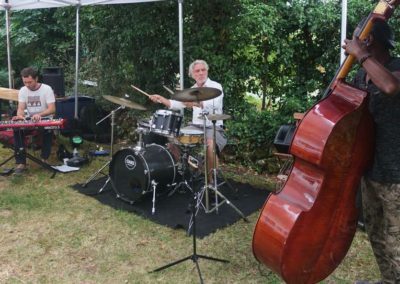 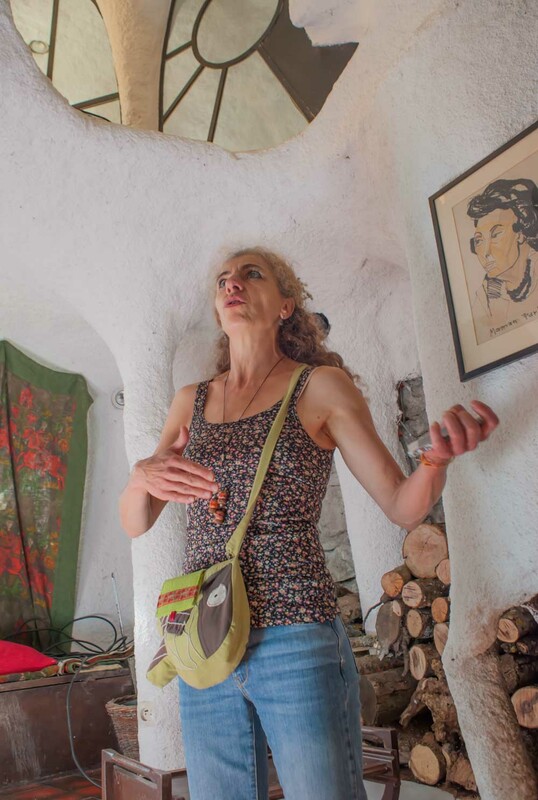 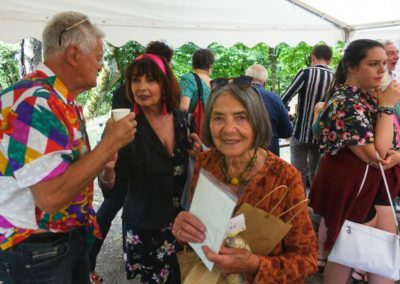 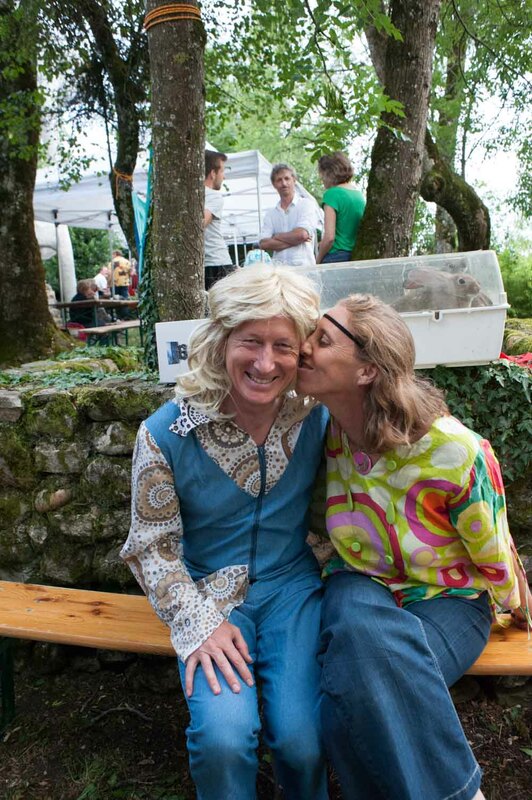 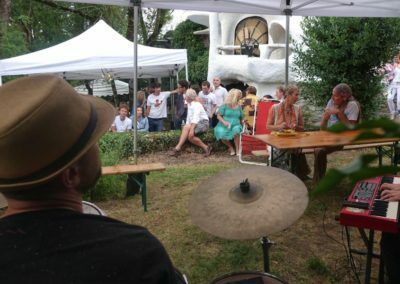 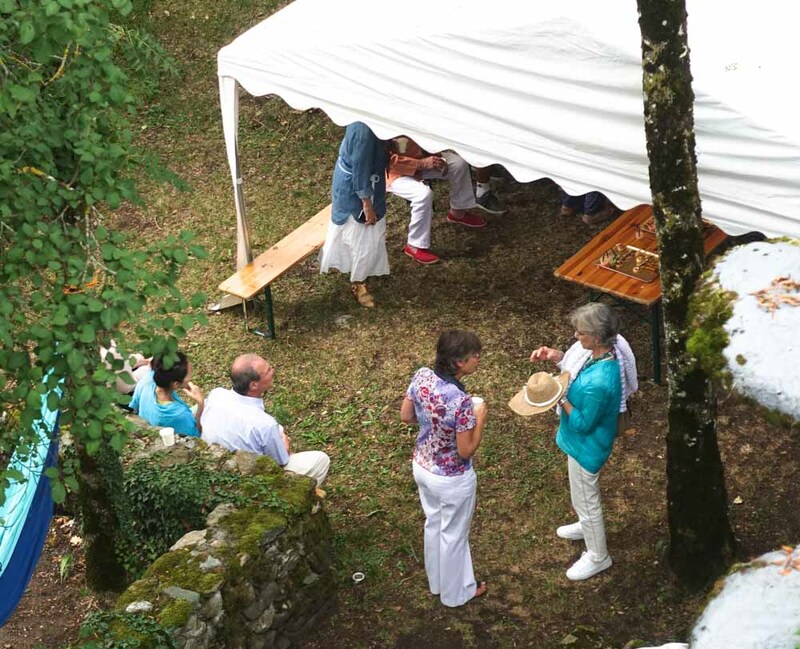 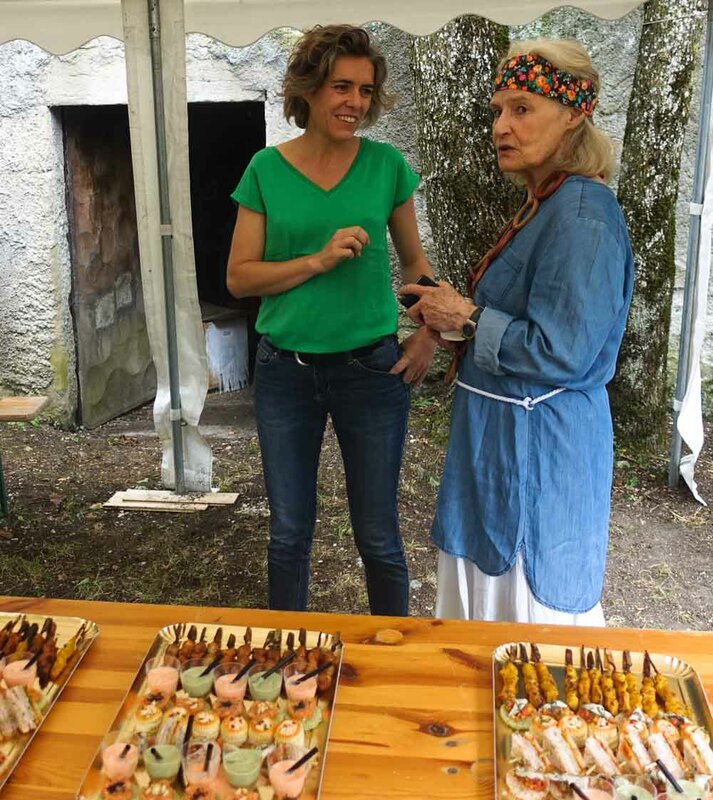 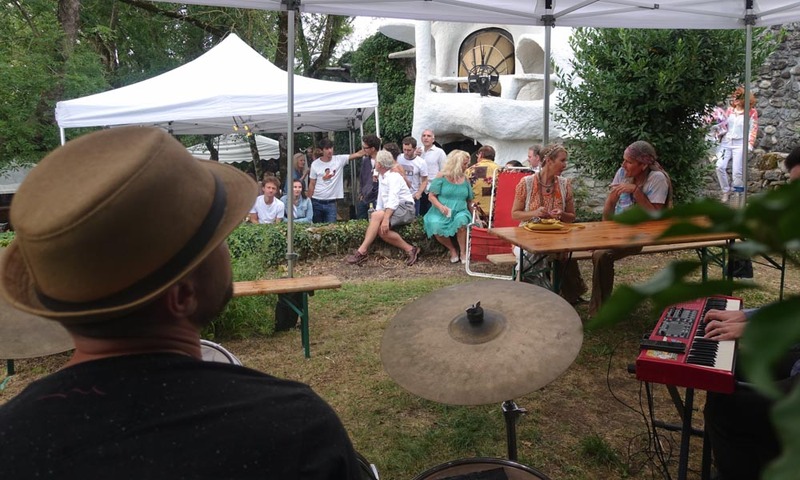 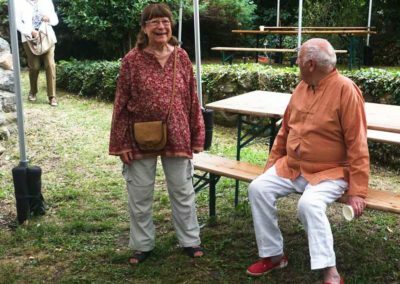 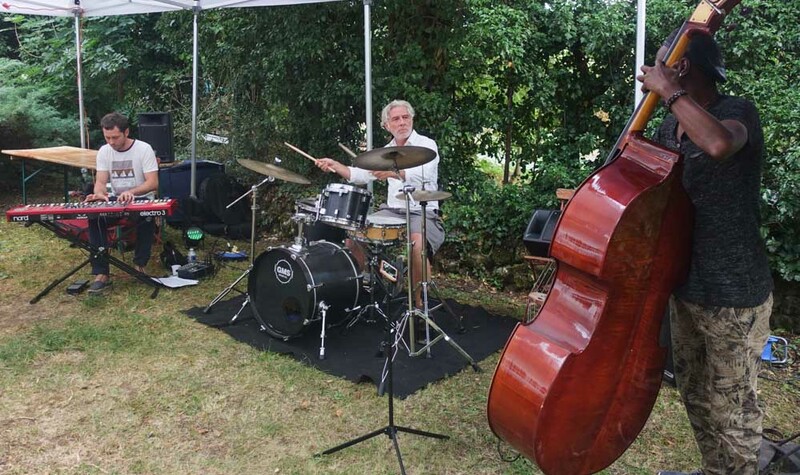 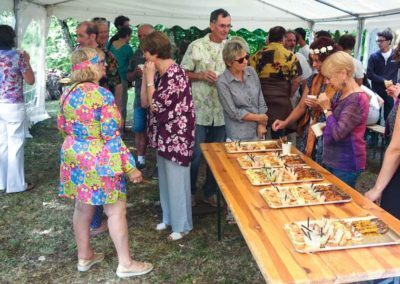 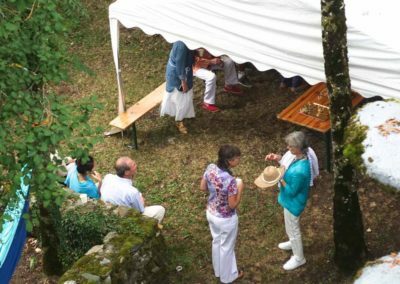 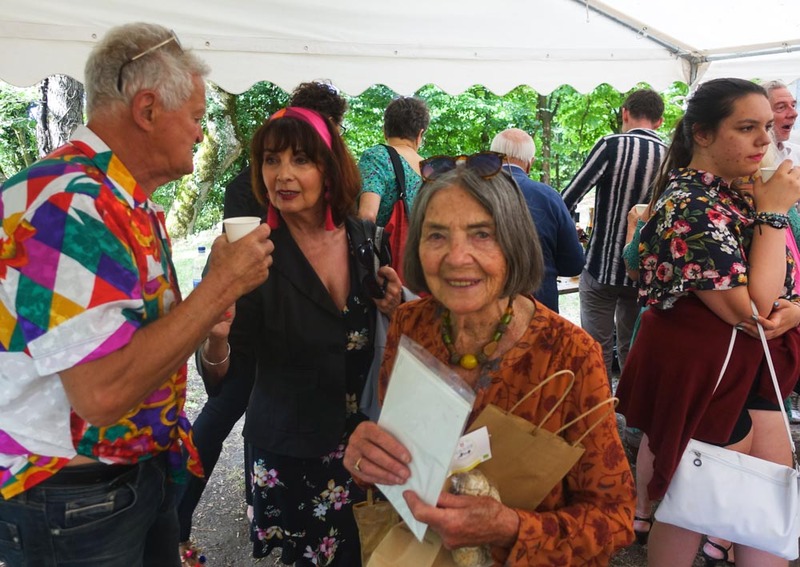 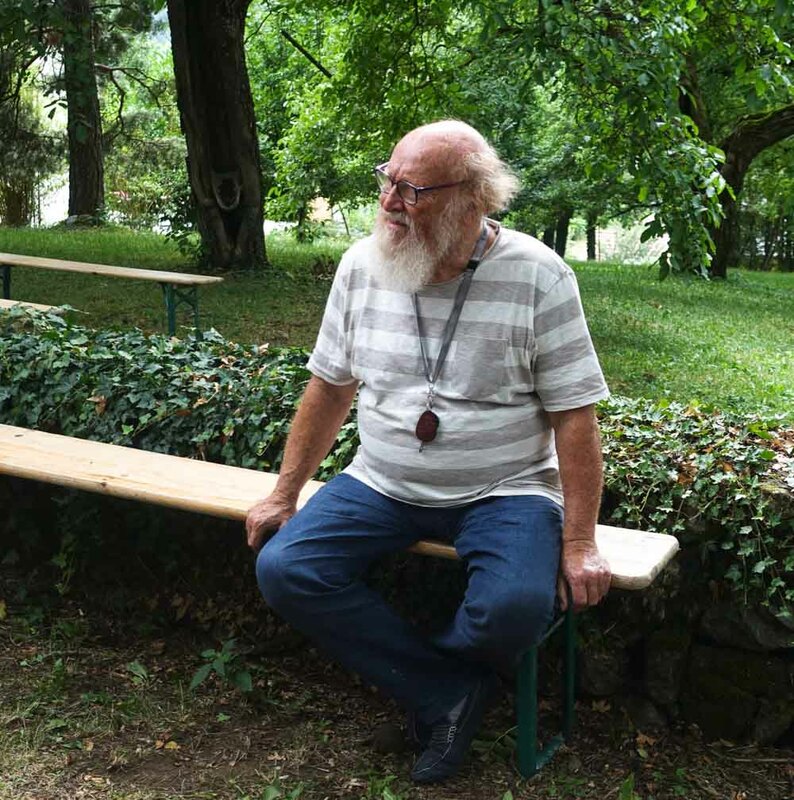 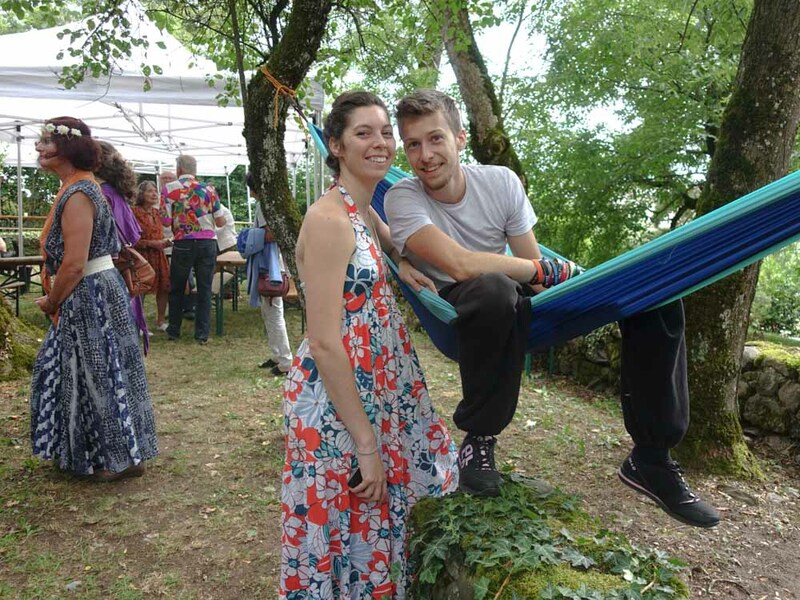 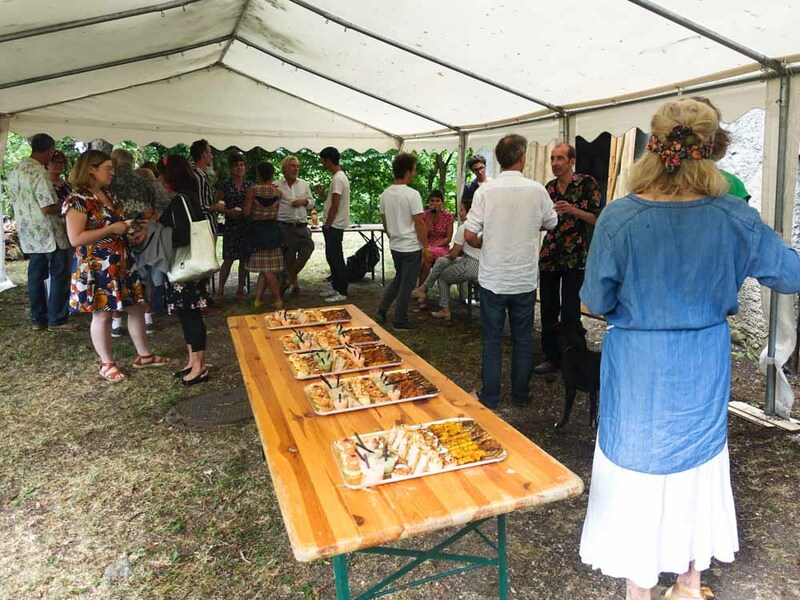 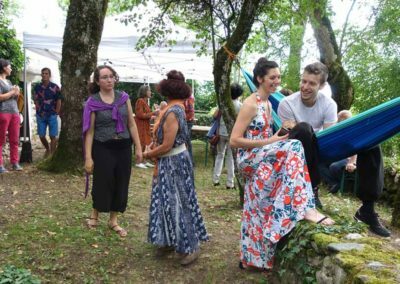 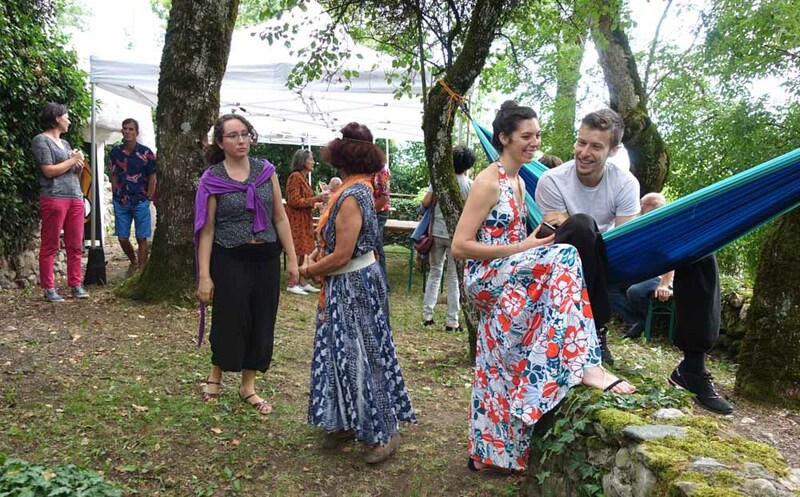 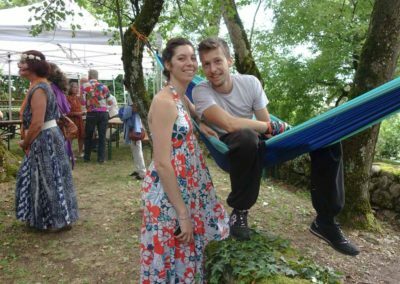 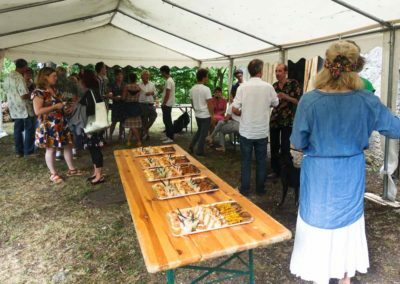 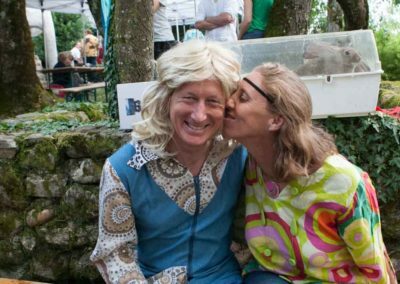 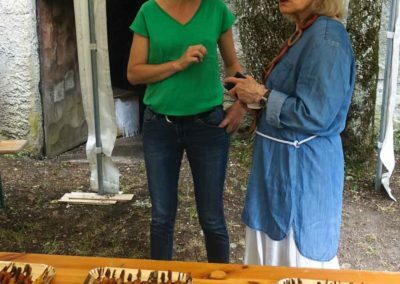 The guests, some of whom were discovering the house for the first time, were gathered in the garden to celebrate the event to the sound of an excellent jazz band all washed down with fine wines and Savoyard dishes. 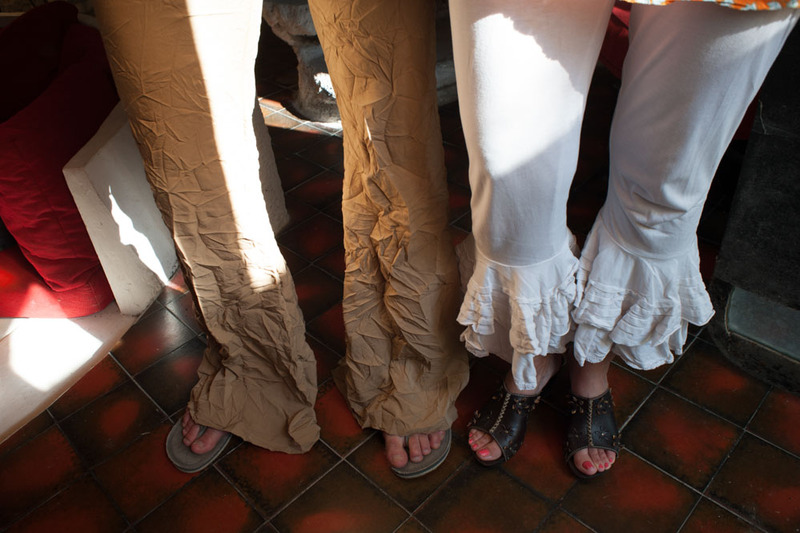 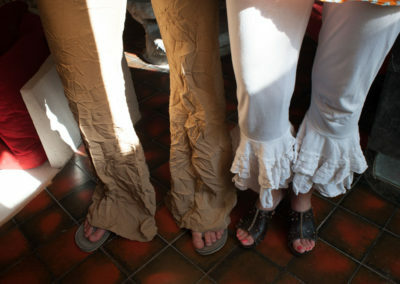 We all played the “dress code” game well, which gave this party a very 68’s look, very much in keeping with the time of the construction of the house.